It’s been a busy week here at ESKW/A, as two of our current projects celebrated important milestones in their construction. On Tuesday, we broke ground on 233 Landing Road, an innovative project for the Bowery Residents’ Committee which will be the first of its kind to blend affordable housing and a shelter. The hybrid model is being developed under Mayor de Blasio’s HomeStretch initiative to provide permanent housing for very low-income New Yorkers. Team members Kimberly Murphy, Moses Ragasa, Melissa Rousse, and Martin Galindez are looking forward to this exciting next stage of the project. You can read more about the ceremony and the upcoming project in this article covering the event from the Observer. 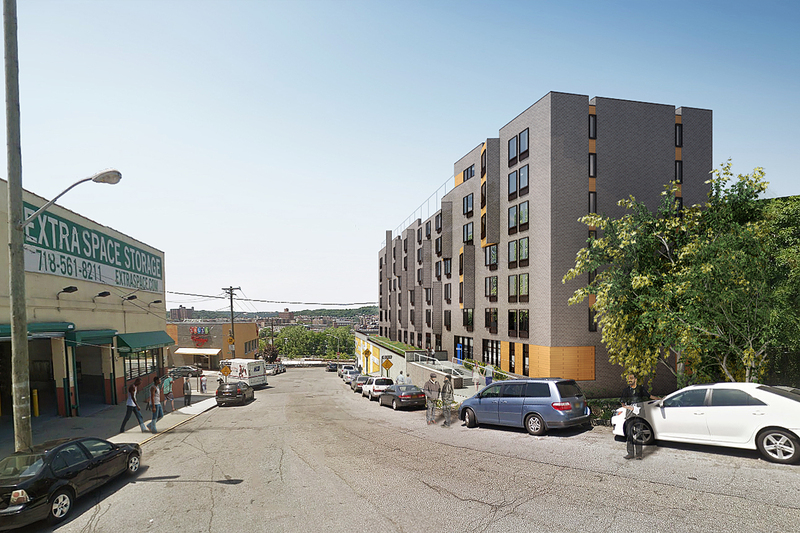 As Landing Road began, close by in the Bronx another new building was coming to completion. The True Colors Bronx residence, a West End Residences project, celebrated its official opening with modest fanfare. Cyndi Lauper, an outspoken advocate for homeless LGBT rights, was in exuberant attendance, as were representatives from the owner’s representative, Artemis Development, and the general contractor, DP Group. Project Architect Kimberly Murphy and team architect Marcella Yee were happy to attend the celebration for a project of which ESKW/A is very proud. Read more about the event as it was covered by Bronx News 12 here.